Alex Cobb was not on top of his game but he kept the Red Sox from breaking open the game in his 5 innings of work and helped set up Tampa’s 5-4 come from behind win. Matt Holliday provided all the offense the Cardinals with need with his 2 run homer that sparked St. Louis’ 2-1 win over the Pirates. Clayton Kershaw pitched on short rest and threw 6 innings with 2 unearned runs, 6 strikeouts and 1 walk. He would not get the decision but the Dodgers would prevail, 5-4. Evan Longoria saved the series with one swing of his bat by launching a 2 out 3 run homer in the 5th that woke the Rays up. Tampa would go on to win 5-4. Dan Otero worked out of trouble in two scoreless innings from the bullpen and prevented the Tigers from staging a comeback as the A’s won 6-3. Seth Smith got two hits including a 2 run homer that gave the A’s insurance in their 6-3 win in Detroit. 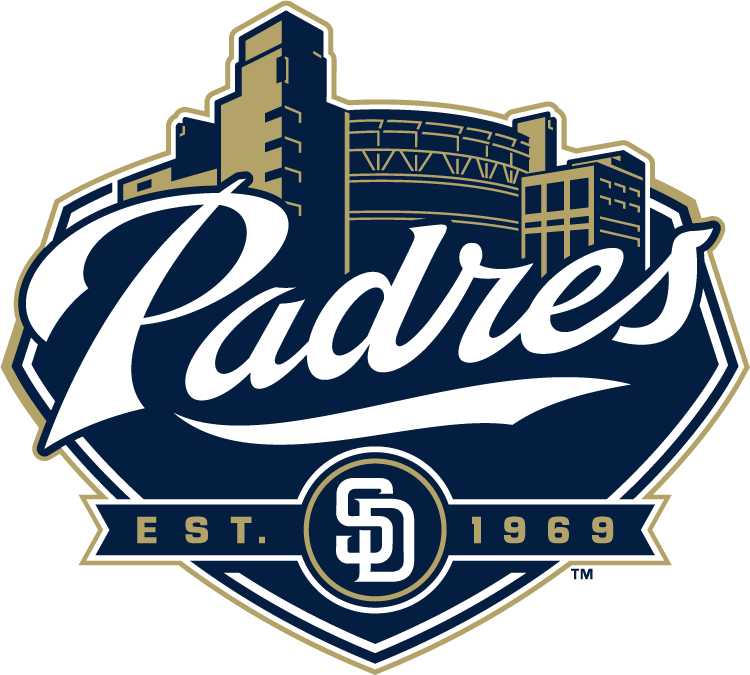 Juan Uribe launched a 2 run 8th inning go ahead come from behind homer that gave the Dodgers the clinching lead over the Braves that they would not relinquish, 5-4. 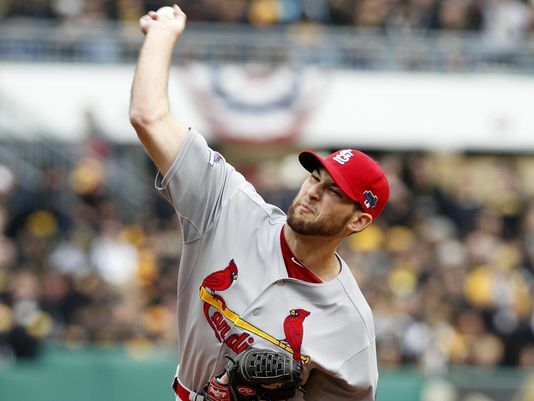 Michael Wacha threw a no hitter into the 8th inning and kept the Cardinals alive, defeating the Pirates in Pittsburgh, letting up just 1 run and 1 hit for a final of 2-1. Jose Alvarez stopped the bleeding in Detroit with 3 innings of no hit shutout ball out of the bullpen. It would not be enough as the Tigers could not score or mount a comeback, losing 6-3. Pedro Alvarez broke up the no hitter with a towering home run that brought the Pirates to within one run. It would be practically all of the Pirates offense in their 2-1 loss. Jacoby Ellsbury got three hits, two of them doubles, and a stolen base and scored 2 of the Red Sox 4 runs in their 5-4 loss to the Rays. Freddy Garcia stunned the Dodger Stadium crowd with a wonderful 6 inning performance where his lone blemishes came on a pair of solo homers. He struck out 6 and let up only 2 runs and would have received the win if the bullpen did not melt down in the 8th. Charlie Morton let only 2 Cardinals score and allowed only 3 hits while pitching into the 6th in the Pirates 2-1 loss. Jhonny Peralta drove in 1/3 of the Tigers entire run total for the series with his game tying 2 run single in the 4th. The Tigers would lose 6-3. 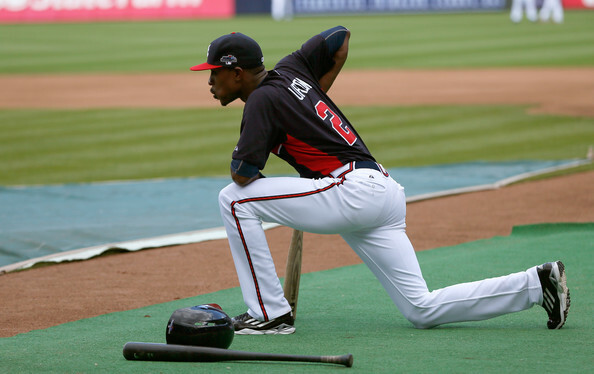 Despite injuries and struggles on the offensive end from highly paid players such as BJ Upton and Dan Uggla the Braves still manged to dominant the Eastern Division. By “dominate” I mean they were in 1st place every single day of the season except for April 4th and they held at least an 8 game lead every single day for the final 60 of the season. If that’s not dominance I don’t know what is. 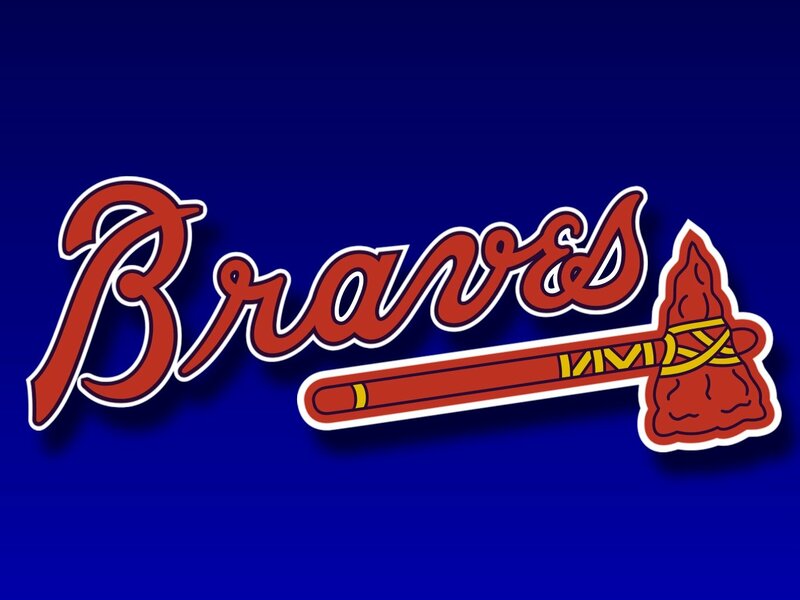 Besides the incredible season – and all that was achieved, the Braves did fail to secure the number one seed in the National League for the post season – which would have secured them home field throughout the playoffs and allowed them to play the winner of the Wild Card “play in game.” rather then having to face the Dodgers in the N.L.D.S. Peter Stein (Fantasy Baseball Analyst – MLB reports): Aside from their pitching style and repertoire, Mark Buehrle and Gio Gonzalez have a lot in common. 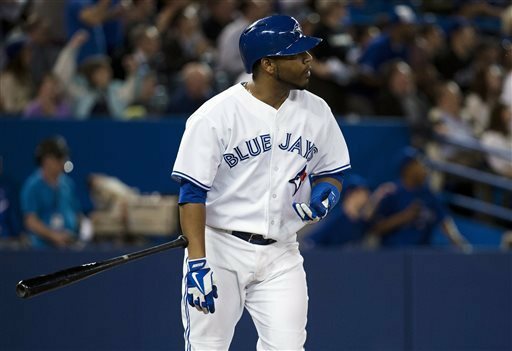 They are both left-handed and have also made the shift to the National League during this 2011 offseason. However, their connection dates back even further. The Chicago White Sox selected Gonzalez in the first round of the 2004 draft. The following season, the White Sox earned a World Championship, thanks in large part to Mark Buehrle’s regular and postseason contributions. Buehrle, a 36th round pick of the White Sox in 1999, continued to be a model of consistency and success, winning at least 10 games and throwing at least 200 innings for 11 consecutive seasons for the White Sox. Forever a legend in the White Sox community, Buehrle joined his second major league franchise this offseason with the Miami Marlins. The move is one I saw coming when Ozzie Guillen became the manager of the Marlins. Clearly the left-hander is comfortable with Guillen, and the National League is truly where Buehrle belongs at this point of his career. He has amassed a 24-6 win loss record with a 3.32 ERA in 39 Interleague starts. However, before we look at his 2012 value, I must continue with the Buehrle-Gonzalez narrative. Ironically for the White Sox, it was a 36th round pick and not the first round pick that became the face of the franchise. Such is baseball and is an example of what makes the game so interesting. In fact, Gonzalez has never even pitched an inning for the White Sox. 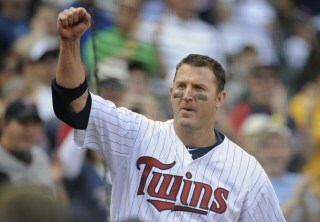 He was traded in 2005 along with Aaron Rowand to the Phillies for Jim Thome. Remarkably, The White Sox reacquired him along with Gavin Floyd for Freddy Garcia in December 2006 and still never got him into a major league game while a part of their organization. It should be noted that 2008 marked a breakout year for White Sox left-hander John Danks (12-9 win loss record). Gavin Floyd also flourished that year, winning 17 games. Going into that season, there did not appear to be room for Gonzalez in the White Sox rotation. Particularly with Buehrle in place and Floyd/Danks set to emerge (as they did), the White Sox felt that it did not make sense to try to add a third left-hander to the starting staff. Obviously high on the team’s radar, the White Sox had to make a tough decision and trade Gonzalez…again. In a regrettable move, Kenny Williams sent Gonzalez, Ryan Sweeney, and Fautino De Los Santos to the Oakland Athletics for one miserable season of Nick Swisher. 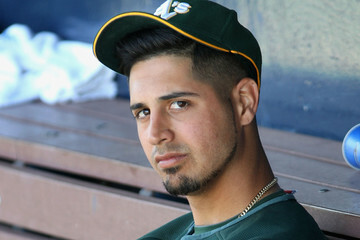 As a member of the A’s, Gonzalez came into his own, finishing 2011 with a 16-12 record and a 3.12 ERA with 197 K’s in 202 innings. Now- going into 2012, both Gonzalez and Buehrle land in the National League for the next stage of their respective careers. 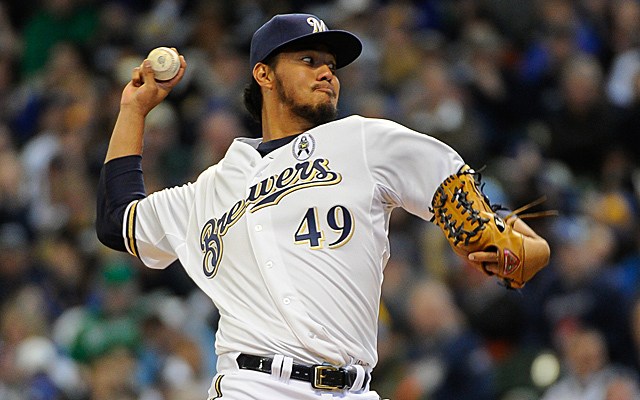 Looking at Gonzalez, his value remains high in 2012. 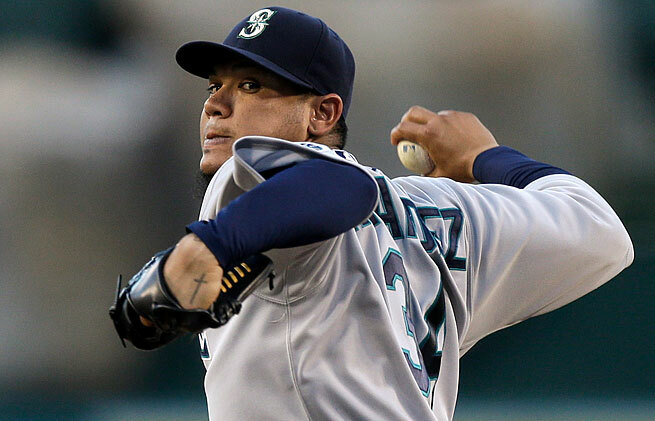 Although he leaves the friendly pitching confines of Oakland, he is going to another pitching friendly park in Washington. His 2011 XFIP indicates that his ERA should have been closer to 4, rather than an even 3.00. Therefore, I expect Gonzalez’s ERA to hover right in the middle of those two numbers. He has an incredible ability to miss bats, but the walk rate, which he has yet to show any improvement at any level, prevents him from being a fantasy ace. With 4 walks per 9 innings, he is prone to give up high run totals and also have trouble pitching deep into games. He does do a great job of keeping the ball on the ground. But the only way for Gonzalez to really improve upon his 2011 campaign is if he can cut down on the free passes. His control is simply not that good, but he is also a player that can be categorized as effectively wild. I simply do not see any signs of Gonzalez improving his walk rate, especially as he his mainly a fastball/curveball pitcher. In a sharp contrast, Mark Buehrle relies on command and mastery of the strike zone to retire batters. He has really shown no signs of true decline and he will still only be 33 years of age in 2012. He is not much different that the pitcher he was in 2004. He strikes out enough batters to be effective and has a stellar career 2.05 BB rate. He strikes out about half as many batters as Gonzalez, but also walks half as many. The two pitchers do have similar groundball rates. However, the change of scenery may have a much bigger impact on Buehrle than it does for Gonzalez. As I have mentioned, the Interleague numbers speak for themselves and Buehrle is finally leaving the hitter friendly confines of U.S. Cellular Park. He will surely benefit from facing the National League lineups most nights and is in a better position to succeed in Miami in 2012. Overall, Mark Buehrle is the guy to keep an eye on during draft day in 2012. Most people view him as an aging soft throwing left-hander with a falling stock. However, he has potential to put up above average numbers for perhaps a below average price. Now while I say to keep an eye on Buehrle, it is not to say he will outperform Gio Gonzalez. Gonzalez is clearly the better fantasy option, but he will likely come at a higher cost. This is a 26-year-old pitcher who has posted 3.23 and 3.12 ERA in his last two seasons, respectively. However, do not expect him to necessarily improve upon these numbers due to some of the luck he experienced in 2011 and his inability to improve his walk rate. 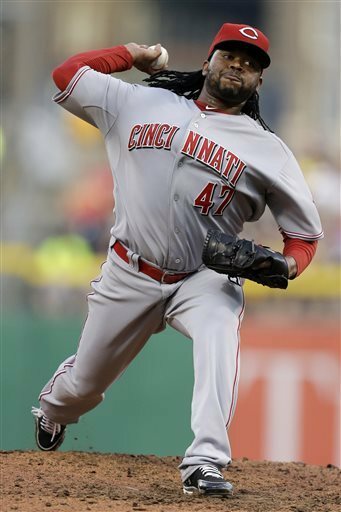 He will most likely be valued as an ace in many fantasy circles, when he is truly more of a number three-type starter. Buehrle, who will be off many people’s radars, could produce as a cheap yet quality four/five type of pitcher. 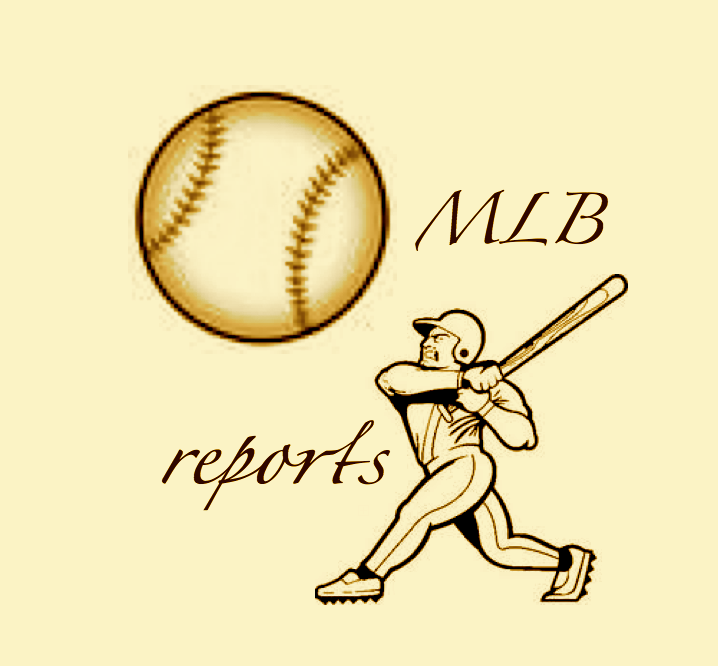 Jeff P (Guest Writer – MLB reports): It was a long season for Yankee fans in 2011, with an abrupt ending to the season with a brutal series loss to the Detroit Tigers in the AL Divisional series. This is even after the Yankees receiving surprising seasons by Bartolo Colon, Freddy Garcia and the Yankees receiving production from its usual core players. 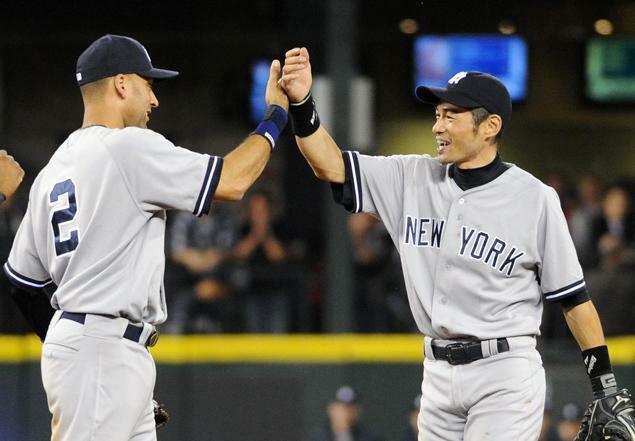 However, in the 2011 season, there were noted declines of several Yankee players. Due to injuries and other factors, one of the biggest culprits was Alex Rodriguez. Limited to only 99 games on the season, A-Rod hit 16 homers, with a batting average in the .270 rang. A-Rod’s stats were some of the worst of his career and he was one the big reason the Yankees did not make it far into the 2011 playoffs. The Yankees have a long path to go to get to the World Series this coming year, especially given that their team remains at a standstill, unexpected to improve greatly from last year. 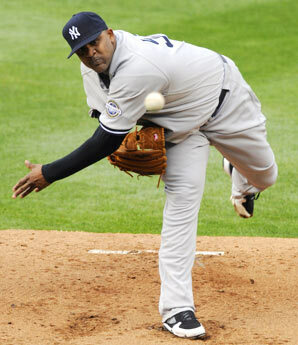 It is not a positive sign that the Yankees rotation will most likely consist of C.C. Sabathia, Ivan Nova and Freddy Garcia, with a likely spring training knockdown competition between Hector Noesi, A.J. Burnett, Dellin Betances and Phil Hughes for the final two rotation spots. Both Hughes and Burnett had horrific seasons this past year, while Noesi and Betances were both late season call-ups. 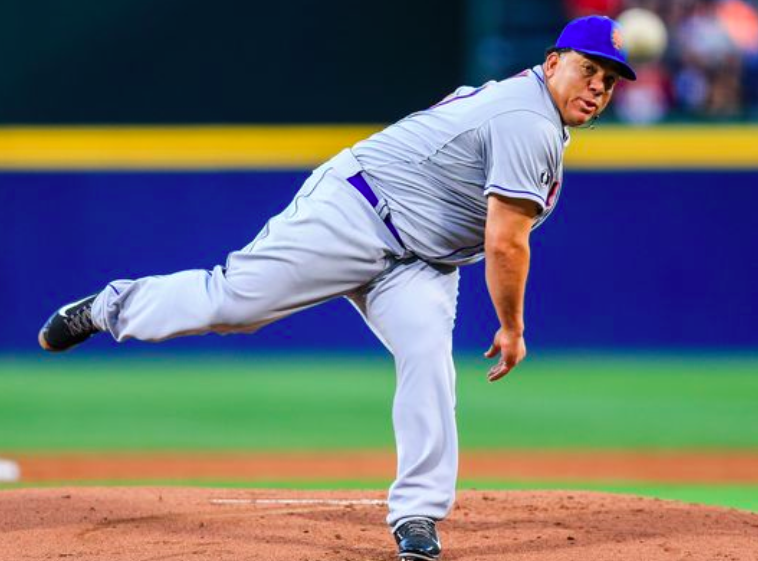 Adding to the equation, Ivan Nova might enter a sophomore slump (always a possibility), while Freddy Garcia is unlikely to repeat his astonishing 2011 season. 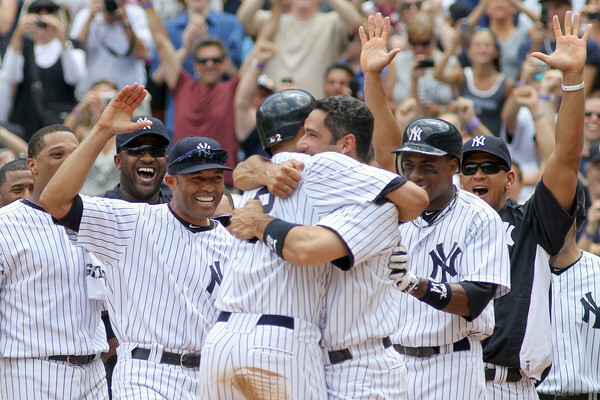 The Yankees have very little margin for error going into 2012, which can ruin the chances of them not only winning the World Series, but even making the postseason. 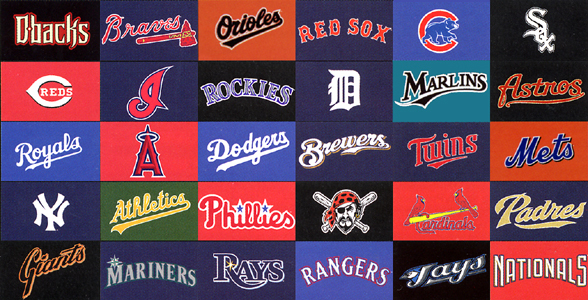 With the Los Angeles Angels of Anaheim now serious contenders, the Rays adding a nice hand to the rotation with Matt Moore and the Red Sox players starting to adjust to their new team, it will be a dogfight to the finish in the American League postseason race this upcoming season. The Yankees will have to play their cards right this year, and not sit back and assume that making the postseason is a given. First of all, the Yankees must get rid of A.J. Burnett. For the last two years, Burnett had horrific seasons and should not be given another chance, despite his large contract. Without Burnett, the Yankees could consider trying a new arm in the rotation, such as Dellin Betances, who is clearly ready for a major league stint. The Yankees this offseason should trade Burnett to a team desperate for a starting pitcher (which should not be difficult given the shallow pool of available talent) and who are willing to give up a useable prospect, which would provide the Yankees with future depth. Even though it is unlikely, the right thing to do with Joba Chamberlain is to give him a strong opportunity for a comeback season in 2012. I am not saying he should be in the rotation for the season, but he should definitely be given a strong look. 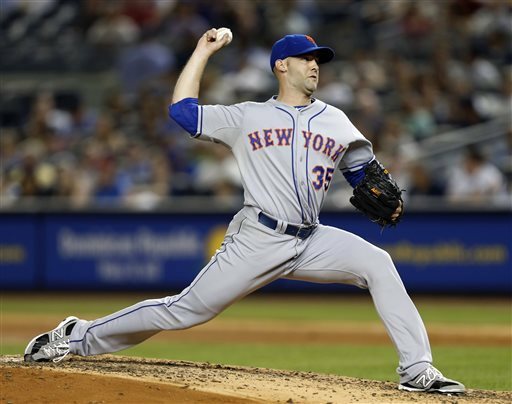 Pitchers often improve after undergoing Tommy John surgery. 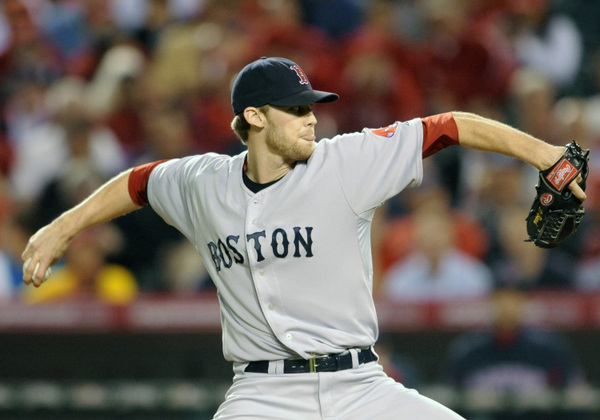 Chamberlain left the rotation after the 2009 season, with a stint in the bullpen for the last two seasons. 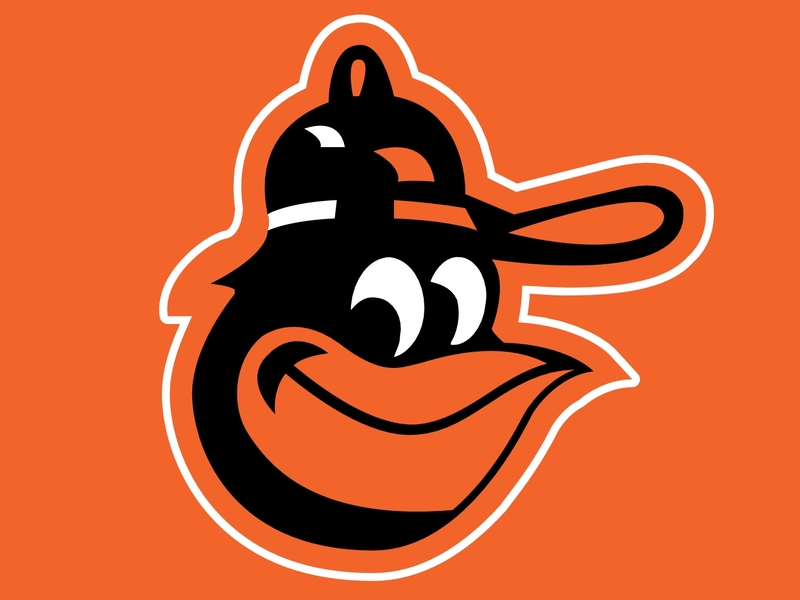 Up to the time of his injury, Chamberlain pitched well in the bullpen, mostly as the seventh inning option. 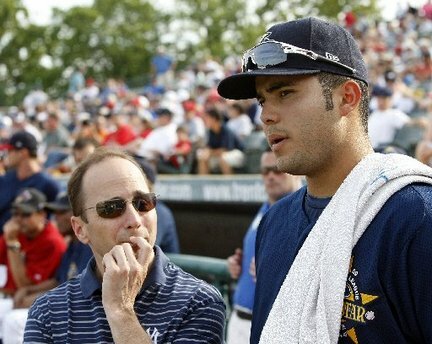 The Yankees are considering Hector Noesi and other rookies for the starting rotation in 2012. So why not try Joba? Perhaps he will surprise all of us and fulfill the hype that accompanied him since being drafted in the 1st round by the Yankees in 2006. 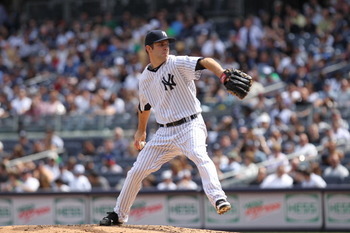 Another option (although unlikely) is to place Adam Warren in the rotation. He is 24-years-old, and has a powerful fastball in the mid 90’s. His four-seamer can reach 97 mph and could leave major league batters clueless. He has a world of potential, and is ready for a major league stint sooner rather than later. 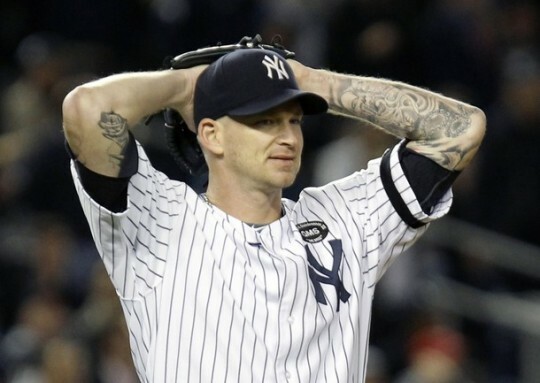 The Bronx Bombers roster is certainly not set and Brian Cashman needs to search the trade market before his squad will be able to compete for a World Series title. Other teams are considerably high on Eduardo Nunez and the Yankees would be well advised to find a deal involving Eduardo Nunez, Dellin Betances and one of their surplus catching prospects for Gio Gonzalez or similar available starter, who could help provide the Yankees with a balanced and deep rotation. The Yankees also must keep Montero in New York. 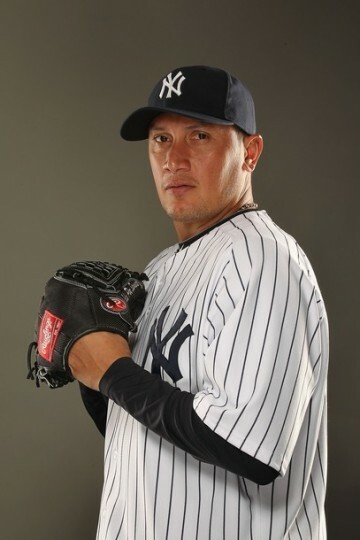 Montero had a great stint at the end of the season, and will hopefully continue to provide an offensive spark for the Yankees throughout the 2012 season. Montero is a great offensive force and would make the dangerous Yankees offense (Derek Jeter, Mark Teixeira, A-Rod, Nick Swisher, Robinson Cano, Russell Martin etc.) that much more powerful. 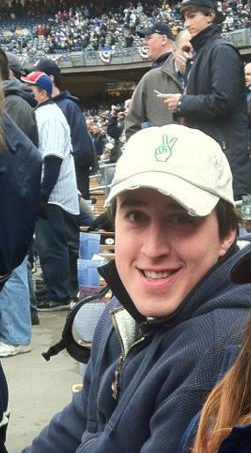 Lastly, the Yankees must monitor Manny Banuelos‘ status. Handled correctly, Banuelos could be this season’s Nova. To get through the regular season and then be a force in the 2012 postseason, the Yankees will need to make changes and several decisions as to their roster. But a successful offseason can minimize the risks and chances for failure in the coming season, by filling critical spots with the right players. The Yankees have many needs in their offseason to-do list in order to repeat their 2009 performance. If the Yankees play their cards right, the path to World Series #28 could be in sight.